Routinely receiving the highest testimonials from clients and colleagues, Todd Burnham has a long-standing reputation as a tenacious client advocate. He is a strategist who will analyze your case’s strengths and weaknesses, develop a precise game plan, and drive toward a successful resolution. 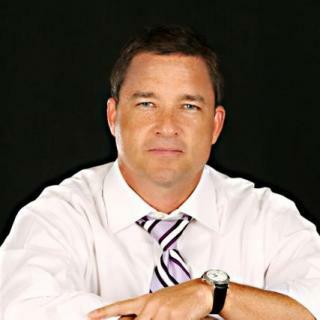 Todd’s successful approach and winning track record has resulted in Burnham Law’s earned reputation as a firm that “Sets the Tone.” Most attorneys tend to either litigate or mediate – very few are proficient at both. Excellent advocacy requires an attorney who can see the “big-picture,” isn’t afraid of a courtroom, but always looks for the collaborative resolution. That is the embodiment of Todd’s approach and every attorney he has personally-trained at Burnham Law. Todd’s approach and commitment to excellence has been recognized by his 10.0 Avvo rating, SuperLawyers selection, “Top 1%” selection by the National Association of Distinguished Counsel, and Colorado’s “Top 10” by the American Institute of Family Law Attorneys. A New York trained trial attorney and Managing Partner of The Burnham Law Firm, P.C., Todd utilizes the utmost balance of persistence, insight, knowledge and compassion…day-in and day-out…providing the firm’s clients with exceptional representation. Todd’s service-focused representation and vision has resulted in Burnham Law’s rapid growth into multiple Colorado locations while attracting some of the most exceptional young talent to join the firm. His approach to every case utilizes strategic, focused and insightful planning regularly resulting in successful outcomes when other attorneys simply said “it couldn’t be done.” Todd is involved in nearly every case, and primarily handles the firm’s high-asset and/or high conflict cases.